Sardinia has been populated since Neolithic times and has been home to many differing cultures ever since. You can see evidence of these successive layers of history all over the island. A later, extensive, Bronze-age culture left its mark in the unique nuraghi, huge stone towers which dot the landscape and whose true purpose remain unclear, and in massive stone burial sites known as Tombe dei Giganti or "Giants' Tombs," like those of the Li Loghi complex near Arzachena which are still visible today. 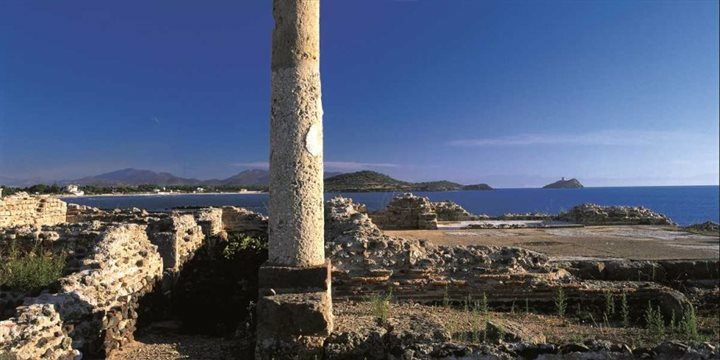 Sardinia's position in the centre of the Mediterranean always ensured outside interest. Successive waves of invaders - the Phoenicians, the Carthaginians and the Romans - arrived from around 1000BC, with varying success in subduing the native population. Sardinians tended to flee inland from these invasions, which is one reason why there are relatively few coastal settlements today. However, the invaders also brought with them new methods of agriculture, established towns and infrastructure, such as the Roman road network and the Cagliari amphitheatre. In the eleventh century, the cities of Pisa and Genoa sent troops to the island to end a period of Arab-led invasions, and trading links between the island and the rest of the Mediterranean were increased. Four centuries later, after a prolonged campaign of warfare, Sardinia succumbed to Catalan rule in the 1400s. The Aragonese remained the ruling power until the early eighteenth century, establishing strong links with Alghero in particular; a version of Catalan is still spoken in the town today. In 1861, Sardinia became part of the united Italy, which the Italian national hero Garibaldi helped to create (his tomb on the Sardinian island of Caprera is a national shrine). Despite unity, the island continued to suffer from Italian speculators exploiting natural resources such as metal ores and forests to the detriment of Sardinians. Poverty was rife, and the rise of Fascism between the two World Wars widened the split between town and countryside. In 1948, the island was granted autonomy over regional infrastructure such as police, forestry and transport. Since then it has become the splendid holiday destination we know today.